WASHINGTON — John Wall is sending messages to himself, mapping out an agenda in scribbles and snapshots: reminders of goals not yet achieved and slights both real and imagined. There are rankings to set straight, doubts to squelch, expectations to manage. So Wall is utilizing every available tool—a cell-phone camera to capture the insults, a Sharpie to spell out his mission. This will be, Wall quickly noted, his fourth NBA season, and it is time to deliver on the promise of being the No. 1 pick of the 2010 draft. He has a new, $80 million contract extension in hand, healthy knees, a sturdy surrounding cast and the full support of the franchise. This is not an uncommon opinion. Many analysts and team executives believe Washington is primed to end its five-year postseason drought, based on the Wizards’ strong showing last season after Wall returned from a knee injury. The Wizards went 24-25 with Wall in the lineup. They were even better when Wall and Bradley Beal, their sweet-shooting rookie guard, shared the court. From Jan. 12 (the night Wall returned) through April 2 (the night Beal was lost to a leg injury), the Wizards went 23-18. The question is whether Wall, the Wizards’ blazing-fast, turnover-prone, jump shot-challenged point guard, is ready to lead them there. There are doubts. Wall knows this. He has seen the critiques and the positional rankings. He carries them on his phone, as photographic motivation. Wall is just 23, but some impressions have already been set: He can’t shoot. He makes poor decisions. He can’t win. The last critique is the most stinging. No. 1 picks and players with “max” contracts are expected to change their teams’ fortunes, and quickly. The Wizards were not so easily fixed, however. Wall’s first two seasons overlapped with what could best be described as the Wizards’ Knucklehead Era, when Gilbert Arenas, JaVale McGee, Nick Young and Andray Blatche ruled the locker room, making a mess of things on and off the court. Wall was drafted just six months after the infamous gun-play incident involving Arenas and Javaris Crittenton. By last fall, the Wizards had cleared out the flotsam and refocused their identity around Wall and Beal, the third overall pick in the 2012 draft, along with a cast of steady veterans, including Emeka Okafor, Martell Webster and Nene. Any chance for a quick revival ended when Wall was diagnosed with a stress injury in his left patella on the eve of training camp. The Wizards went 5-28 in his absence, their worst start ever through 33 games. “I felt bad…that I couldn’t help them,” Wall said. Wall had spent the entire 2012 offseason working on his game, his jump shot in particular. Suddenly, he was facing the possibility of losing an entire season. There was one final test to pass in early January before getting cleared. If he failed, Wall said, he would have been forced to have surgery. “It would have been a wasted year,” he said. Wall did pass the test and made his celebrated return on Jan. 12, in a victory over the Atlanta Hawks. The Wizards won six of their first nine games with Wall on the court, including victories over the Denver Nuggets and the Chicago Bulls. Then came a four-game winning streak, with victories over the Los Angeles Clippers, the Brooklyn Nets and the New York Knicks, all top-tier playoff teams. Any doubts about Wall’s ability to lift up his teammates should have faded over that 49-game stretch. With Wall on the court, the Wizards produced 102.1 points per 100 possessions, near the league average; when Wall was out (or on the bench), the Wizards produced 93.1 points per 100 possessions, which would have ranked last. With Wall on the court and orchestrating, the Wizards’ three-point accuracy rose from .341 to .406. Trevor Ariza shot 42.2 percent from the arc with Wall on the court, and 29 percent without him. Beal’s three-point rate increased from 34.1 percent to 50 percent. Webster went from 41.1 percent to 43.3 percent (all stats per NBA.com). “When you have your superstar point guard and the maestro of the team out there leading the way, I mean, there’s no words for that,” Webster said. Because of injuries and the 2011 lockout, Wall has played 184 games in his young career—62 fewer than he would have in three full seasons, robbing him of precious development time. Wall still turns over the ball too often, averaging 3.7 turnovers per game for his career. His jump shot, however, remains the biggest blemish in his arsenal. Wall’s three-point shooting is so poor—24.3 percent for his career—that defenses hardly need to guard him at the arc. But he struggles from nearly every zone inside the line as well. According to one team’s accounting, Wall last season shot 38 percent between 18 feet and the arc, 37 percent in the 14-18 foot range and just 42.5 percent between 2 and 14 feet. He is at or below average in each of those areas, which hardly suggests stardom. Wall is asserting his leadership in smaller ways, as well. Before the Wizards took a preseason trip to Brazil last week, Wall gave each of his teammates customized headphones, in the colors of the Brazilian flag. “Just thought I’d do something for my teammates,” he said with a smile. But the scrutiny will persist until Wall leads the Wizards into the postseason, at a minimum. The Wizards were widely criticized this summer for handing him a fat contract extension so soon. One scout who has watched Wall extensively questioned Wall’s playmaking instincts and defensive effectiveness, as well as his shooting form. And although Wall is great in transition, where his speed is an asset, he has been shaky in the halfcourt, where his lateral movement is not nearly as swift. That clicking sound you hear is Wall’s cell phone, capturing another snapshot for the portfolio. 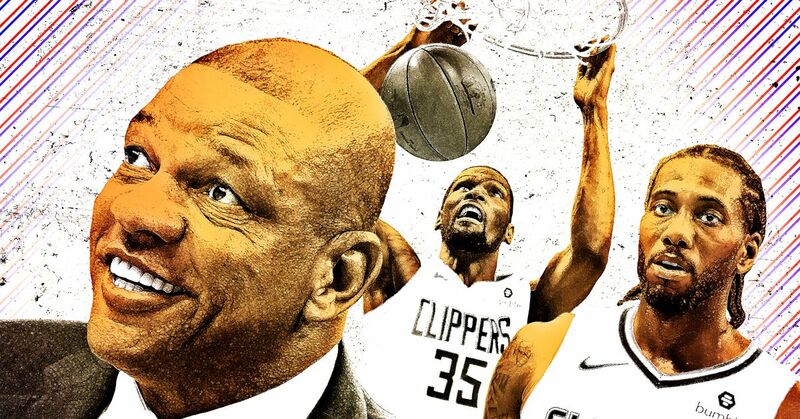 Howard Beck covers the NBA for Bleacher Report. Follow him on Twitter.